AquaWorld is the Worlds Leading Supplier of Live Bait Tanks! Why? Many baitfish are very fragile and difficult to keep healthy and lively in an enclosed bait container. A constant flow of water is needed to provide oxygen, but if the flow is too strong, as it is in most bait tanks, the baitfish become exhausted and die. Furthermore, tanks that fill at the bottom and overflow at the top push loose scales and residue into the path of circling bait, clogging their gills and ultimately suffocating them. AquaWorld Products' self-flushing live bait containers are specially designed to overcome the bait killing problems inherent to other ordinary tanks. The unique "REVERSE-FLOW" containers fill near the top, and circulate clean water downward through the bait, pushing scales and residue to the bottom and out. Without debris in the water, you will not lose baitfish to suffocation, and with the tank's constant flow, they won't become exhausted. 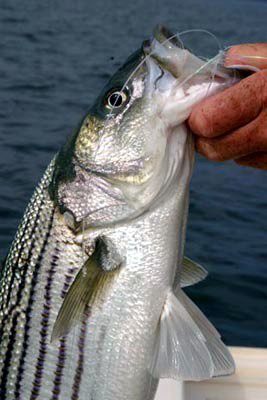 In addition, there are no obstructions in the path of swimming bait to bruise and weaken them. The "REVERSE-FLOW SYSTEM" completely revolutionized live bait tank design, made other types of bait tanks obsolete, and resulted in AquaWorld Products becoming the leading producer of live bait tanks and livewells in the world!